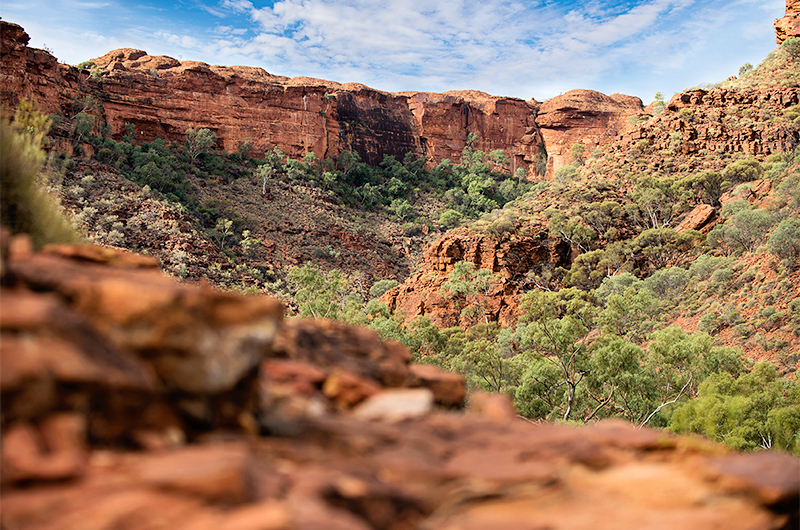 Tenders are now open for the construction of a new, iconic shelter to house safety information and for the redesign of signage relating to walking and heat safety at Watarrka National Park. Work to realign the Rim Walk descent, including upgrades to the creek crossing track and the rehabilitation of the old track is also out for tender. Completion of this project will lead all visitors past relevant safety information prior to starting any of the three canyon walks. With over 255,000 visitors last financial year, Watarrka National Park is the second most visited National Park administered by Northern Territory Parks and Wildlife Commission and it seems likely that this level of visitation will increase in coming years.